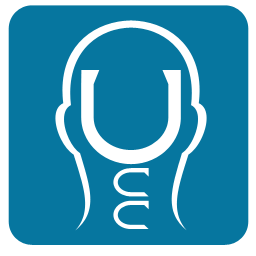 The Upper Cervical Blog: Tinnitus and Upper Cervical Care? 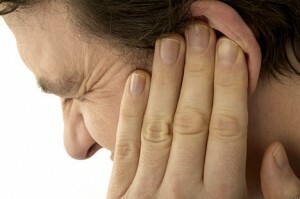 Tinnitus and Upper Cervical Care? A middle aged, caucasian male was rear-ended in an automobile accident in mid June. He suffered from constant headaches, tinnitus, upper and lower back pain. He went to the Emergency Room at a local hospital and was x-rayed for determination of fractures and life-threatening injury. He was then given pain medication and sent home. Two weeks later, his symptoms persisting, he was treated at his primary medical doctor’s office and also referred to an ENT specialist who prescribed him medication for the tinnitus. After tolerating the tinnitus, increasing musculoskeletal pain and headaches for more than a month, he decided to seek other forms of treatment. He presented to a full spine chiropractor to see if chiropractic care would help his condition. Initially, he achieved positive results from the adjustments and physical therapy exercises, including decrease in the severity of headaches, upper back pain, and low back pain over the course of two months. However, his tinnitus increased, even while continuing to take medications prescribed by the ENT specialist and receiving the full spine chiropractic adjustments. The headaches plateaued at about 4/10 on the analog pain scale, and he was trying to sleep at night with headphones on to drown out the ringing in his ears. At this time he was referred to me for Upper Cervical Specific adjusting (upper cervical care), and a new cervical x-ray series was taken, including specific views for analysis. It was determined that his atlas was misaligned, and spinal temperature graphs showed a consistent pattern, despite his previous treatment. He made the personal decision to cease other forms of care at that time, including drugs, physical therapy, and full spine adjusting to focus on the upper cervical region. Under our care, his condition improved to the point of sleeping without the headphones after the first week. His headaches and tinnitus steadily decreased as his body began to hold the adjustment. The headaches resolved nearly one month after the first adjustment was given, and the tinnitus was down to 2/10 at that time as well. He was forced to fly out of town on a business trip, and when he returned, the tinnitus had increased to 4/10 and his body was in pattern. Adjustment was delivered and the level of tinnitus was reduced to 2/10 again, where it stayed for the next three weeks. At his next examination it was determined that his tinnitus had gradually reduced down to 1/10 and all other symptoms were resolved. He was checked on a continual basis over the next six weeks, during which his tinnitus completely resolved and he began to hold his adjustment for a considerable length of time.